2016 Upgrade is a must do for all of my clients. The new feature to view 7 years of your Balance Sheet and Profit & Loss is invaluable. You will only be able to view those prior years if you have not purged your data at fiscal year end close. If you have purged data you will need to upgrade to 2016 prior to your next fiscal close. This will start your 7 years financial statements going forward. Sales tax codes can be easily organized in AccountEdge even though there is a 5 letter limit. First, choose a 2 letter code for all Counties. For instance, Alameda = AA, Contra Costa = CC. Then code the city codes using the two letter county code and add a 3 letter city code. This will display all of the cities nestled under the county which will make it much easier to locate when coding a customer card. Sales Tax Changes are easily done in AccountEdge. There is no need to create a new tax ID card every time the tax % changes. To change the tax % go to Lists from the top tool bar, select Tax Codes. Open the tax code card and change the % and all future sales will calculate with the new %. The prior sales will calculate at the old %. 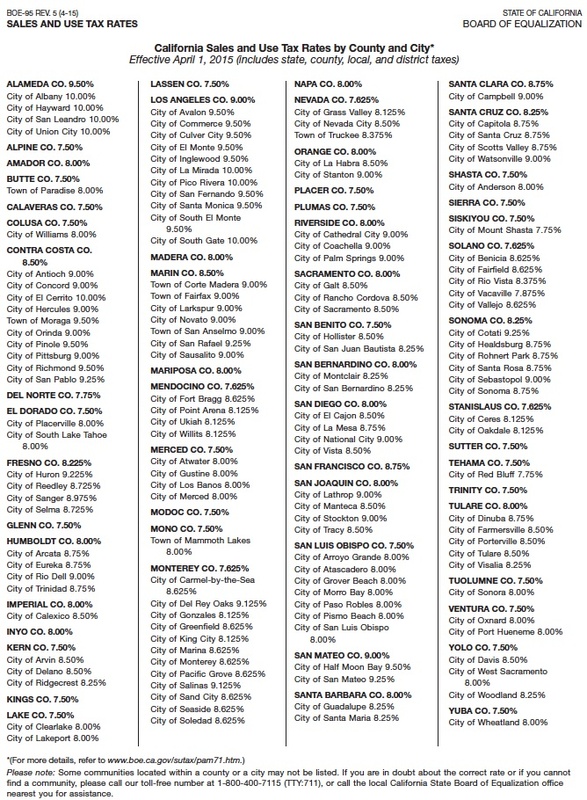 For new cities added to the BOE list, you will need to create a new tax code card. You will also need to locate those customers within those cities. You can locate them by going to the Card File-Card List. Select Customer the customer tab and search by city. From there you will need to open each customer and confirm the ship to address is the city with the tax change and change that customer card tax code.